No more visits from the meter-reader. Smart meters transmit real-time energy-use data from each house to a central computer owned by the electric utility. No more visits from the meter-reader. 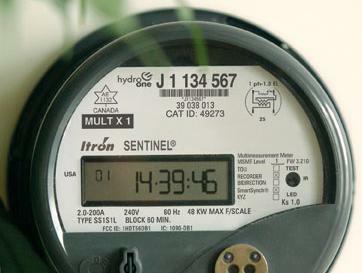 Smart meters transmit real-time energy-use data from each house to a central computer owned by the electric utility. Some critics have raised concerns about radio frequency (RF) emissions from smart meters. As shown in this chart, the risk of exposure is very low compared with the risk of RF exposure associated with other common devices. RF exposure from cell phone use, for example, is many orders of magnitude higher — in part because the device is used right next to the head. Image Credit: EPRI Lovable animal pictures are a proven way to make Martin Holladay enjoy your blog post! Can We Power Our Car With the Sun? I had the honor of being within a few feet of a barn owl this weekend at the wildlife festival at the Southern Vermont Natural History Museum. Kept alive after being injured years ago and now a frequent visitor to classrooms and museums, this bird of prey was perched on the arm of a handler, who wore thick falconry gloves. 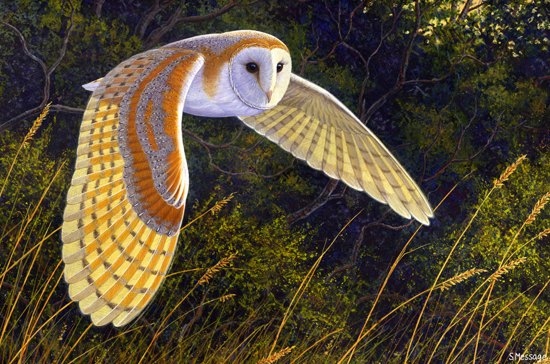 Unlike hawks and eagles, which hunt by sight and chase down their prey at great speed, the barn owl can hunt entirely by sound, and uses velvety-soft wings to glide in for the surprise catch. To help locate mice in snow, leaves, or hay, barn owls have asymmetrically placed ears: instead of being opposite each other, as human ears are, barn owl ears are 15 degrees above and below center. The minute time difference—as little as 0.00003 seconds—at which sound hits the ears allows the owl to triangulate and tell whether the mouse is left or right, near or far, and up or down. Compared with barn owls, our electric meters are pretty dumb. They detect just one piece of information—how much electricity is being used, measured in kilowatt-hours on your electric bill—and while you can look at a meter and see how much power is flowing at a given time, meters are typically read once a month, or even less often, and need to be visited in person. Or let’s say you were the utility, and on a hot summer day when everyone’s air-conditioners were cranking up, you’d like to be able to crank something else down—like say, everyone’s washing machines—to smooth out demand. Doing so might help you meet demand with more efficient “baseload” power plants, keeping generally less-efficient “peaking power plants” offline. 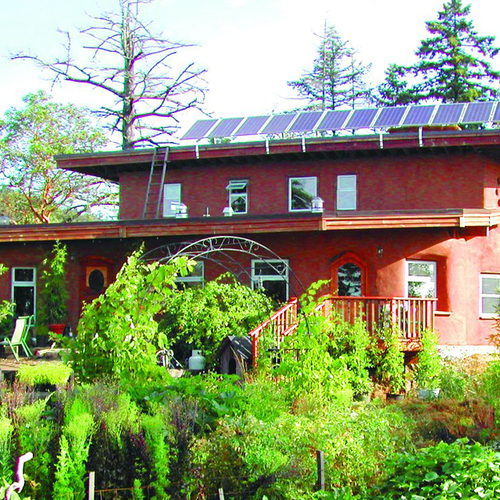 In these cases you might want to have a “smart grid.” The “grid” part of the equation is the network that conveys electricity from plants to consumers. 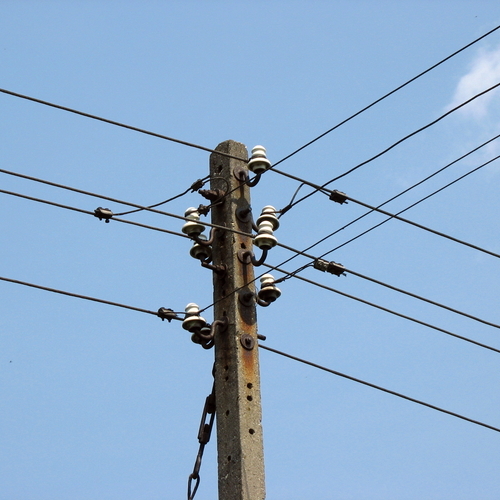 It includes power lines, substations, transformers, and switches. Just like a “smart” phone opens up a world of applications that come from adding a computer to your phone, the “smart” part of the grid means computerizing the electric utility grid. When fully implemented, a smart grid would need all meters, voltage sensors, fault detectors, and similar devices to be enabled with digital sensors and two-way digital communication. The central utility could “listen” to the devices and adjust and control them from a central location. One potential smart-grid innovation is for appliances within homes to be embedded with devices that would allow them to receive signals from the utility telling them when rates are favorable for turning themselves on or performing energy-intensive functions, like automatic defrosting on a refrigerator. General Electric is putting this technology into refrigerators, ranges, clothes washers and dryers, dishwashers, and microwave ovens. (It says that customers will be able to override the automatic functioning.) One study in Washington State showed that consumers, armed with devices informing them of favorable times to use energy-intensive appliances, saved money. 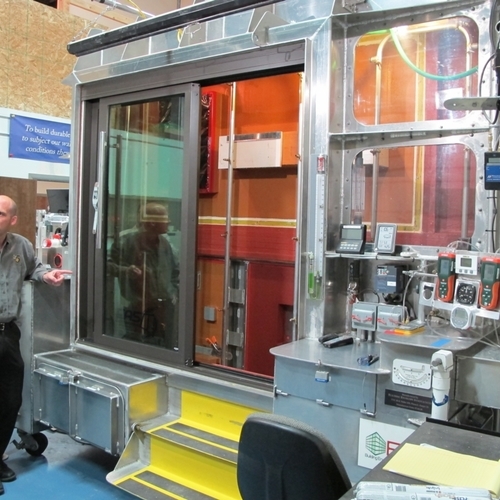 Widespread deployment of smart grid technologies may be a ways off, however. As Alan Meier wrote earlier this year in Home Energy magazine (My Friend the Smart Meter), utilities, regulators, and governments have done a terrible job in deploying smart meters. Weak public relations and policy efforts have left a vacuum of public opinion, which has gradually filled with distrust. Are wireless devices a health hazard? Furthermore, some people have been freaking out about the radio waves generated by smart meters, which use wireless technology to transmit data to utilities. As power and gas companies have begun installing them, some customers have protested (with a few reporting the onset of mysterious illnesses after installation), and some studies have claimed that radio frequency exposure might exceed U.S. Federal Communications Commission (FCC) limits (see chart). Although the objectivity of this study is challenged by smart meter opponents, , using empirical data from two areas in California, found that the exposure risk from smart meters is much lower than that associated with many common household items that people use frequently and keep much closer to their bodies, like cell phones and microwave ovens. Thanks for the good article. Here's one more drawback to smart meters: they allow the collection and storage of personal data that erodes our privacy and will inevitably be used in the future by prosecutors (and, if history is any guide, by unethical journalists). Just as your credit card and cell phone create a data trail that can be used to chart your movements and behavior, the data from a smart meter can indicate when you wake up, when you take your showers, when you go to work, when you come home, and when you go away for the weekend. It can even indicate when your teenage son or daughter comes home from college. Once again, you beat me when it comes to cute animal illustrations. My owl photo doesn't depict me in a favorable light, since it shows me handling a beautiful creature that should be flying free. 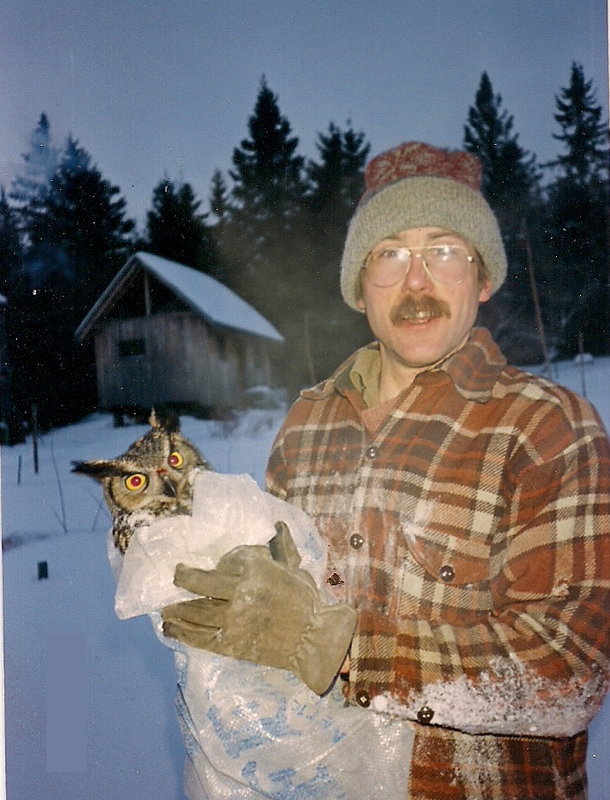 I captured this great horned owl a few years ago, when I was taking care of my friend's pheasants. The owl had entered the pen and killed some of the captive birds. No owls were harmed in connection with the making of this photo; the owl was released. Cool photo! I'm glad you weren't harmed in the making of it—the owl isn't having a happy moment. I'd love to know how you managed to capture and swaddle it. Thanks for exploring the data privacy issue that I alluded to but did not explore. Consumers are right to be concerned about this, and utilities have done little to assuage those concerns. It could be argued that the mere creation of this data will inevitably lead to abuses. Odd though, isn't it, that the same conservative ethos that supports Congress in passing and renewing the privacy-killing Patriot Act for national security purposes somehow takes exception to a technology that could help on the conservation and reliability part of the grid equation? A great horned owl is a carnivore and a predator. Approach with caution. As you can see, I used the old grain-bag-and-leather-gloves technique, which worked fine. Since I've been keeping hens for 35 years, I know how to pick a bird: the trick is to pin the wings to the body when you pick them up. What I find almost as disconcerting as the data privacy concerns raised in this article, is the likely lack of good security implemented in the network. "Two way digital communication" is useful to utilities sure, but it is also susceptible to being intercepted by those who would do ill. While it might be nice that the utility company can send a command to your washer or drier and shut it off during peak hours, it might not be so nice when the local teenage hacker starts rapidly turning the washer and dryer on and off in every home in the neighborhood. Or they shut off power to heating system in the for-sale home down the street during the middle of a brutal winter, allowing pipes to freeze. Or they wait for the utility to shut down the a/c during peak command, and then cut the wires on the home of the mean old guy down the street who tells them to get off his lawn, preventing his a/c from getting the signal to turn back on. And what happens when the utility gets it wrong? Oops, we thought we were shutting off your air conditioner at 2 am, but that caused a malfunction and we shutoff and/or fried your C-PAP machine, or your oxygen machine, so sorry. Not a likely event in most cases, but it only takes one case to leave a very bad taste in people's mouths. If you're dependent on an oxygen machine you need a backup power source, period. You may not have noticed but power-outs happen all the time. The utility can tell when you took your shower? Big deal, your cellphone company knows where you ate lunch and can probably figure out who you ate it with. Personally I wouldn't have the slightest problem with any of these 'privacy' or 'security' issues if it means one less coal-fired power station like the ones that Duke Energy is planning in the Carolinas right now. Let's please remember what's actually at stake here. Yeah, back up power source for the oxygen machine. Unfortunately, I don't think that Medicare/Medicaid/private insurance pays for generators. Here's a nice little article I found with a quick and dirty google search that highlights the problem people with medical issues deal with. And while it may seem like paranoia to you, it's the review and analysis of these issues before they're implemented that prevents problems. A study just came out that indicates 78% of ex-burglars surveyed believe current burglars use social media of their victims to pick targets and times. I suspect that's not just idle speculation. Going even more old school, there's a reason post offices allow you to stop your mail when you're on vacation, and things like lights on timers are recommended. Article on burglar's using social media. Paul I couldn't agree more with the reasons for not over-sharing on social media and arranging for your mail to be held while you're away. But that's hardly relevant here. The point is that individuals dependent on electrical machinery to stay alive already need protection against temporary power-outs. In the sixteen years I've lived in my present home we've had an average of three or four electrical outages a year, most for just an hour or two but one was for three days and one for nine days. 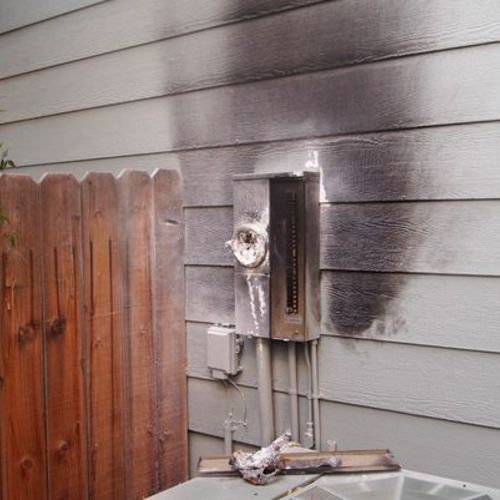 These things happen and smart metering does not introduce a risk that was not already present. In our area these needs are met by close links between vulnerable individuals and emergency services. So yes, let's prevent millions of disrupted lives and avoidable deaths - by cutting carbon emissions. There's no doubt that smart metering has to be part of the solution to that immense challenge. I've never said that smart metering shouldn't be considered and/or implemented. What I'm advocating is that before we force home owners to implement these meters, that we take a serious look at potential safety and security issues that may be raised by those meters. While I don't expect utilities to consider every conceivable movie-plot security threat, basic things like acts of vandalism, intentional tampering, hacking, man in the middle attacks, contractor and employee malfeasance, and system failure are things that need to be thoroughly contemplated and addressed in a substantive and preferably open manner. Failure to address these and other issues now, will only result in problems in the future. Bruce Schneier, one of the leading experts on security issues has several articles that come up when you search his website. Ranging from low level attacks, to terrorism, many of the security issues raised here have been raised there as well. Mr. Somsel, in an interview Thursday, said he had done further research and was concerned that the radio signal — or the Internet instructions that would be sent, in an emergency, from utilities' central control stations to the broadcasters sending the FM signal — could be hacked into. That is not possible, said Nicole Tam, a spokeswoman for P.G.& E. who works with the pilot program in Stockton. Radio pages "are encrypted and encoded," Ms. Tam said. I wonder what she'll think when someone hacks the system? 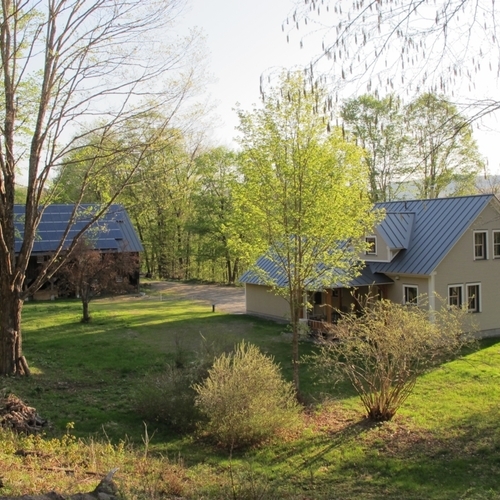 Central Vermont Public Service is starting to roll out Smart Meters for the ~50% of Vermont that they supply electricity to. Yes, the utilities need to ensure reasonable levels of security in the implementation of smart metering. No, nothing will ever be 100% secure and/or safe and there may possibly be an occasional security breach. One of these may even cause as much disruption as one of the bad ice storms and hurricanes which hit the US several times a year, and which will likely get more frequent and severe as we continue to drag our feet on cutting carbon emissions. If you want to reduce carbon emissions, building nuclear power plants would be a faster solution than the smart grid solution. We are certainly more prepared to deal with the securing of individual sites than we are the securing of a grid. Yes, there might be occasional safety breaches, but I'm sure their net impact will be less than those bad ice storms and hurricanes that hit the US several times a year. Paul, there's a slew of reasons no new nukes have been built in this country for forty years - cost, safety, security, waste disposal, to name just a few. If despite these problems a new US nuclear program were to be started today it'd be twenty years before the first generator banks begin kicking electrons into the grid. In other words, if we have to wait on nukes to solve our carbon emissions problem we're screwed. We may be screwed anyway, but there are a few relatively simple, affordable things we can start doing right now that will actually make a difference. Here's a couple: reduce demand (build better houses), improve distribution efficiency (smart meters). 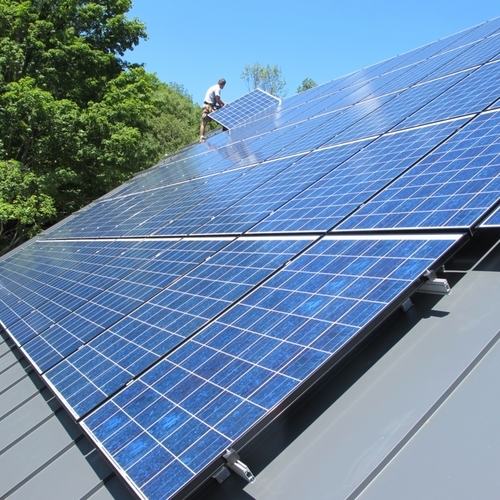 Smart grids are estimated to reduce direct carbon emissions by 12%. Indirect carbon emissions would result in an additional cut of 6%. That's at 100% roll out. Nuclear plants reduce direct carbon emissions by 100%. Presumably, they would have at least a 6% impact on indirect carbon emissions, if not greater. Assuming we could accomplish 100% roll out of a smart grid immediately. And assuming we get the maximum 18% benefit from the smart grid, and further assuming we only get an 80% reduction in carbon emissions from nuclear and get nuclear plants on line in 30 years. Also assume further that we maintain current energy useage. Based on those greatly simplified numbers it takes only 9 years for the nuclear option to not only catch up to the smart grid option, but actually exceed the carbon emissions savings of the entire 39 years from the smart grid. Give the nuclear its full 100% direct impact and that drops to just 7 years to equal 37 years of smart grid savings. It's interesting how suddenly when nuclear power comes up, you immediately begin to care about things like life safety and security issues, yet have been quick to downplay those issues when applied to the smart grid. Especially when we're talking about preventing "millions of disrupted lives and avoidable deaths - by cutting carbon emissions. " Just take your whole post #10 and substitute "nuclear power plants" for "smart metering." Paul, please feel free to campaign for a new US nuclear program. Nuclear power may indeed deliver 100% of our electricity, carbon-free, at some point in our future if the various problems get resolved to the degree necessary for the political and financial will to emerge at the national level. In the meantime, if you don't mind, I'll continue to support smart metering and a number of other low-risk carbon reduction initiatives that are far less problematic and are going to have a substantial impact actually within my lifetime. I don't know if anyone still follows older threads, but I stumbled across this link which demonstrates the utter lack of security implemented in smart meters. I love that homeowners can disrupt the accuracy of a meter by tossing a couple magnets on it. And my favorite quote although I suspect it's overstated. "The feds estimate that the Puerto Rican utility’s losses from the smart meter fraud could reach $400 million annually. " Guess who's customers will ultimately pay that bill? And that is just in Puerto Rico, population 4 Million. Assuming a similar level of fraud on the mainland, and at 100% roll out, that's about 3.5 Billion in fraud annually. What's sad the way these frauds often work is the thief goes door to door and offers to sell the resident an upgrade to help lower their electric bills by tweaking their meter settings. Thief gets paid by the home owner, performs the tweak then takes the magnetic advertising sign off the truck door at the end of the day, and throws the phony credentials away. Six months later, the homeowner gets a nasty letter from the utility company saying they have engaged in fraud and owe back payment. 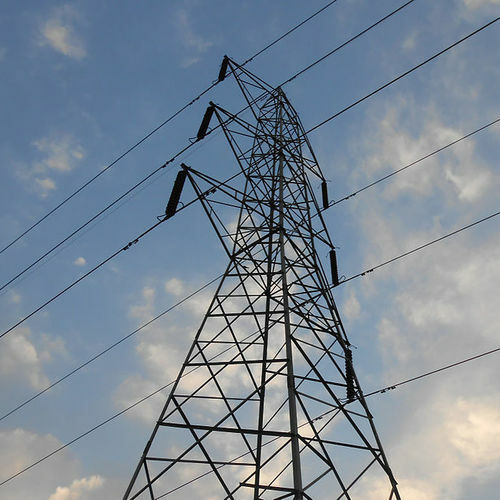 In a surprising 6-2 decision, the Supreme Court upheld a controversial energy conservation rule from the Federal Energy Regulatory Commission (FERC), the agency that regulates interstate electricity sales. 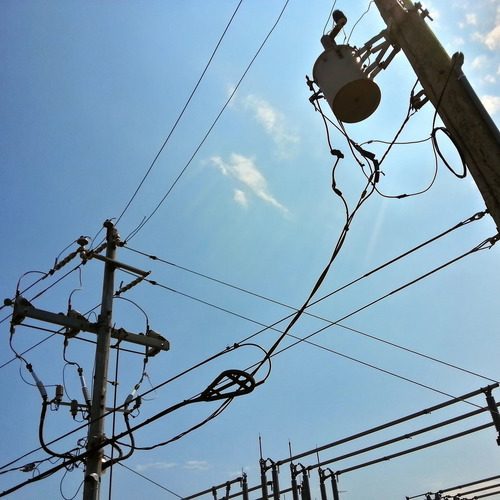 Will the Supreme Court Kill the Smart Grid?